Silver-tongued and merry-eyed, this is a story in song and verse, a joyful mash-up of today and yesterday. 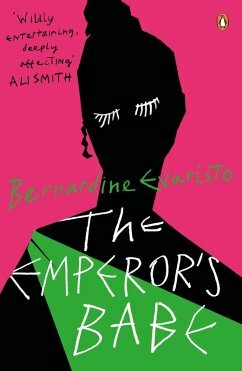 Kaleidoscoping distant past and vivid present, The Emperor's Babe asks what it means to be a woman and to survive in this thrilling, brutal, breathless world. Bernardine Evaristo is the Anglo-Nigerian award-winning author of seven other books of fiction and verse fiction that explore aspects of the African diaspora: past, present, real, imagined. Her writing also spans short fiction, reviews, essays, drama and writing for BBC radio. She is Professor of Creative Writing at Brunel University London and Vice Chair of the Royal Society of Literature. She was made an MBE in 2009. As a literary activist for inclusion she has founded several successful initiatives including Spread the Word writer development agency (1995 - ongoing); The Complete Works mentoring scheme for poets of colour (2007-2017) and the Brunel International African Poetry Prize (2012 - ongoing).